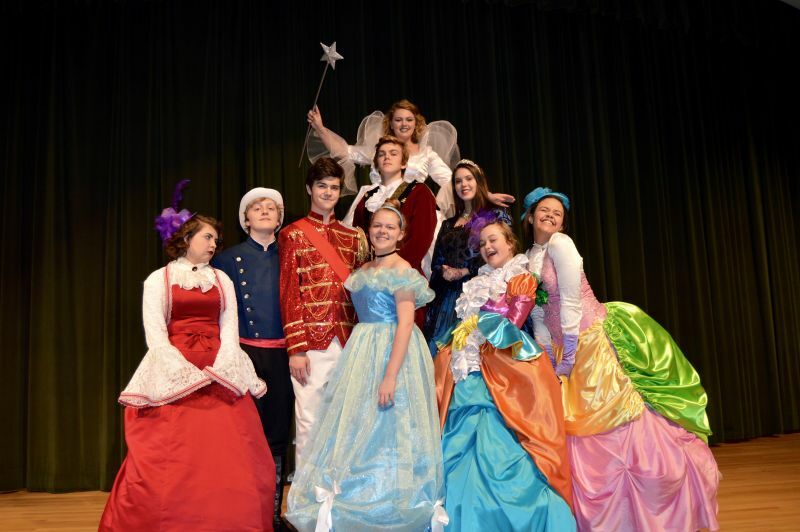 McIntosh Fine Arts will be performing Rodgers and Hammerstein’s classic musical “Cinderella” Feb 2-4 at 7 p.m. each night in the McIntosh Auditorium. “Based on the timeless fairy tale and featuring great music, heartfelt performances and lavish costumes, ‘Cinderella’ is the perfect family musical,” according to one of the show’s organizers. Tickets are $8 for students and $12 for adults. Tickets can be ordered by emailing info@mcintoshtheater.org. For more information about the show, visit mcintoshtheater.org. Many of the actors were part of McIntosh’s last production, “Women of Lockerbie,” which placed second in the state one act competition. Kenzie Knudson as the Fairy Godmother was named Best Actress at both the regional and state competition. Joshua Sussman as the King was named Best Actor in the region and Claire Hemenway as Cinderella, and Wylie Watlington, Dance Captain, were named to the regional All Star Cast. “Cinderella” also features Perry Cox as Prince Charming, Claire Avery as the Stepmother, Zoe Vaughan and Morgan Wiese as the stepsisters, Lee Newton as the Queen, and Iain Hemenway as Lionel.